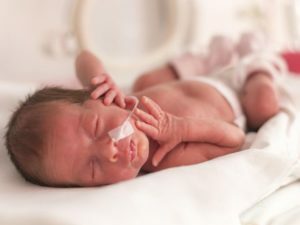 Working in the neo-natal intensive care unit (NICU) can be very daunting at first especially when you see premature babies with feeding tubes through their noses. They usually have poor sucking and swallowing due to their medical condition and prematurity. As a SLP we stimulate the reflexes required for sucking and swallowing to help remove feeding tubes and promote oral feeding via breastfeeding or bottle feeding. Some of these babies do well initially however there are a few that may take longer to feed orally. Some babies may choke on milk as they drink from a bottle or breast feed or have severe reflux which aggravates their feeding and swallowing difficulties. The best solution for these babies is to adjust the positioning of the baby, the medium of feeding i.e. either via breast or bottle and alteration to the baby’s formula milk to ease the swallowing process. 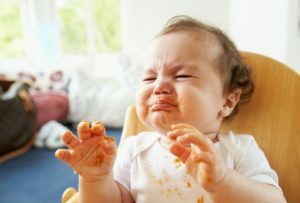 If a baby has good reflexes in place for sucking and swallowing, then feeding will be better. Some babies may require more advanced forms of treatment however this is always done with a medical team approach in mind which includes the paediatricians, dietitians, occupational therapists, nursing staff and the SLP. Transitioning/ weaning during infancy and toddler years can prove to be difficult with many infants and toddlers. Some refuse to eat, are very picky with the types of foods tolerated, gag and choke on certain foods or even spit out food during meal times. This can become very challenging for parents to deal with and mealtimes end up in a war or can be prolonged. These symptoms can manifest due to a wide range of reasons. Some infants and toddlers may have allergies to certain foods or have sensory processing difficulties e.g. over or under sensitive to temperature, colour, taste, smell, texture, consistency of foods. 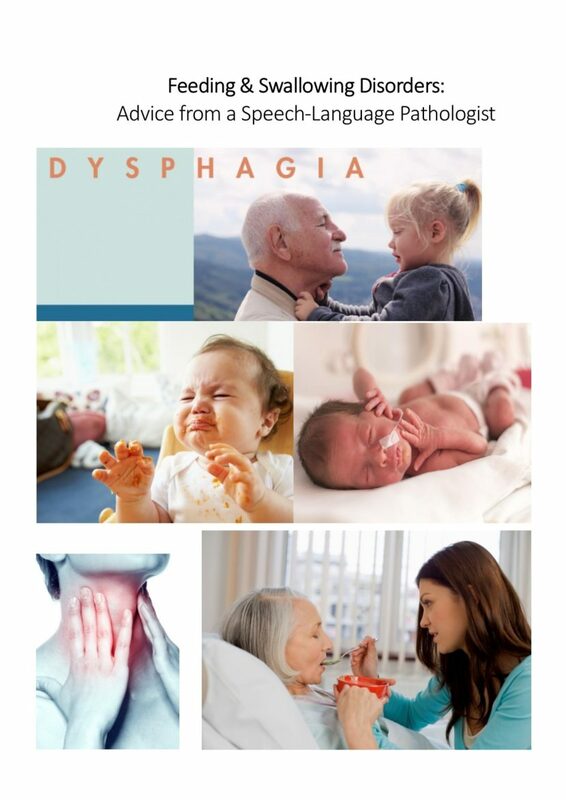 A SLP can assist with overcoming these difficulties by exercises which can desensitize an over or underactive gag reflex and sensory processing difficulties. A food chart is devised along with suggestions for preparing and planning meals and different techniques that can be used to reduce avoidance and refusal to eat. Once again, a team approach is adopted with valued input from a sensory trained occupational therapist, paediatric dietitian and the SLP. Stroke and head injuries are becoming more common each day. One of the most common difficulties seen after a stroke and head injury is dysphagia (difficulty swallowing). Some people lose the ability to swallow and may rely on other forms of nutrition such a naso gastric tube through the nose or a gastronomy tube through the stomach. Rehabilitation of the swallowing is done by the SLP through various forms of treatment. The goal is to exercise the muscles required for swallowing and improve airway protection to prevent food from entering the airway and into the lungs, which can be deadly. Altering the person’s diet by thickening liquids and altering the consistencies of food also help to improve the swallowing. The SLP will devise a treatment plan which is best suited for each person. Recovery from dysphagia depends on the severity of the stroke and head injury. In the older population, Alzheimer’s disease and Parkinson’s disease develops due to old age and as a result a person can slowly begin to lose their independent functioning. A regression is seen whereby they require assistance for everyday tasks as the disease progresses. Feeding and swallowing becomes a concern as a person can forget they need to eat or may develop behavioural difficulties which prevent them from eating. Poor swallowing can occur as the muscles get weaker over time which can cause food to enter the airway into the lungs leading to serious chest infections and even death. Sometimes these symptoms may not be seen initially however it is important to be aware and contact a SLP to assess and implement a safe management plan for the person. Cancer is a serious condition that can affect anyone at any age. Cancer of the head and neck can occur and result is poor feeding and swallowing especially after radiation. The muscles become very tight and scarred and swallowing can be extremely difficult as well as painful. With appropriate intervention before, during and after radiation the SLP can assist a person with easier feeding and swallowing and reduce the risk of serious complications thereafter. 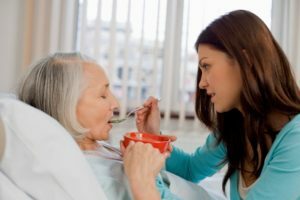 Mealtimes should not be difficult for anyone. Speak to a speech-language pathologist today on how to make meal times better and safer.